Of all the blogging services out there, Tumblr is maybe the one that’s least like a traditional blog. At times, it feels more like a glorified Twitter feed. Tumblr feeds off sharing links and media while also offering a quick way to get a written post published. It’s design is simple, but limited. This allows for immediate posting and reposting. Tumblr’s interface also encourages following fellow Tumblr users to follow and share each other’s work. Tumblr’s emphasis on the social has made it less attractive to teachers hesitant to introduce social media to their classrooms, but this is exactly why Tumblr deserves a chance. Because of the immediate nature of this tool, teachable moments, classroom discussion, and all of the many great moments that happen in real-time can exist on Tumblr. Of course, one must consider how to best utilize this popular social media tool to support learning. First, Tumblr should be embraced as a collaborative learning and community-building tool. Not only should students have their own Tumblr blogs for collecting thoughts and resources, but they should follow each other. Tumblr has a unique dashboard design where the blogs users follow are part of a feed they can read and repost. If a classmate shares resources, quotes, or media that help another student’s understanding, that post can be marked or shared again. The sharing of resources and ideas is effortless using Tumblr’s social nature. 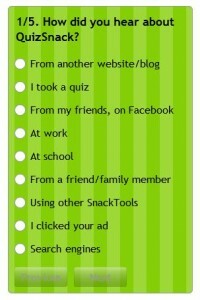 Teachers should also keep close track of what their students are posting on Tumblr. This can be done by following students much in the same way I suggested above for students to follow each other. However, searching through a Tumblr feed can be a bit unwieldy. Since this is a blog, adding each student’s feed to an RSS reader such as Google Reader is an easy way to keep track of student activity on Tumblr. One of the biggest benefits of using Tumblr over other blogging services is the ability to easily share media and other resources. The interface for composing posts allows for users to publish text, photos, quotes, links, chats, audio, and video. Additional text, media, and hyperlinks could be added to any post, but this design encourages quick collection of resources, advancing classroom discussions. Tumblr also offers a browser bookmarklet for instant posting whenever a great resource is discovered. For additional tracking, it’s important to really promote tagging posts. Tagging allows posts to be organized in multiple categories. Tags make it easier to search for content where Tumblr’s enormity can seem overwhelming. Of course, if you’re familiar with tagging, you understand just how valuable this feature can be to organizing any blog’s content, particularly one that encourages more frequent posting. What Tumblr encourages is discussion and sharing while not requiring so much writing that students grow burnt-out. It’s benefit lies in immediacy and community by simplifying its structure and interface. This makes for a fun, social tool for classroom engagement. 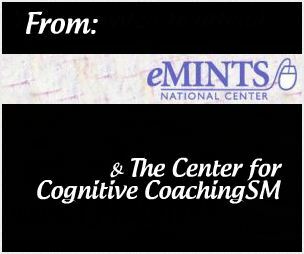 We are excited to announce this week’s Networked Teaching & Learning blog will be hosted by guest blogger, Krissy Venosdale. Krissy has been a teacher for more than 10 years, she’s a veteran eMINTS teacher, and now teaches 3-6 gifted education in Hillsboro, MO. She writes at the Teachfactory.com blog sharing her creative ideas, projects she works on, and her beliefs about teaching, learning, and so much more. Krissy’s main passion is teaching and her students. She hosts their classroom website, A Great Day to Learn. The site is the hub for everything happening with her students including projects they participate in and even ones she hosts. The poster above is just one example of her creativity at work. Krissy creates lots of classroom posters and decorations using Photoshop (another one of her hobbies). 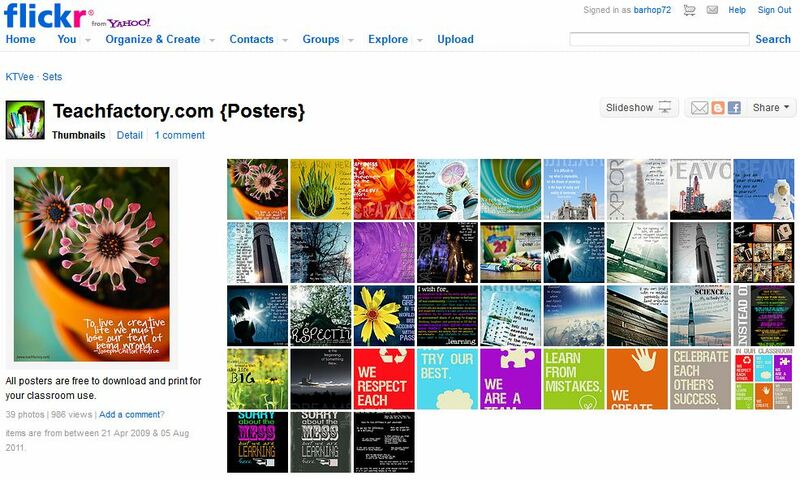 She shares some posters through her blog and publishes them on Flickr under the Creative Commons license allowing anyone to download and print them for classroom use for FREE. On top of all of this, Krissy is a wife and mother who enjoys spending time with family, traveling, and photography. We thank Krissy for all that she is sharing this week and look forward to other guest bloggers in the future. If you are interested in being a guest blogger on the Networked Teaching & Learning, please submit your ideas here. This is the year. This is the year you finally start that blog you’ve always talked about writing. Well, or maybe you’ll at least consider managing a blog or possibly setting up your own space online. The tool you should consider for doing this is WordPress. First, you should know that there are actually two kinds of WordPress. The first is a hosted blogging community of twenty-five million or so blogs. The second is the open source software you can download for free and host your own WordPress site and/or blog. At WordPress.com, once can create, write, and manage a blog using one of the internet’s most popular blogging tools for free. Being part of the WordPress community of bloggers, it is easy to network with other bloggers with a similar purpose. This can be especially important when looking for outside input. 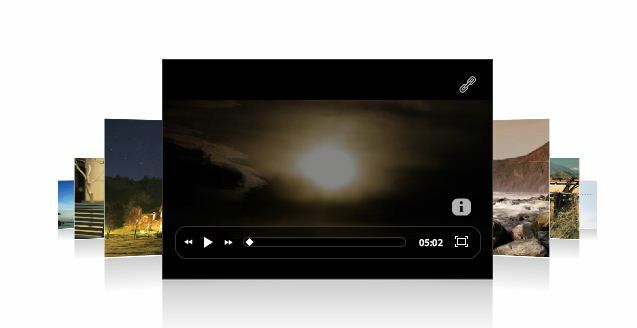 Also available is the ability to add links and various widgets to the side, top, and bottom regions. Finally, a WordPress blog, unlike many other services, provides the option to add additional pages. This is where you can put policies, contact information, or any other content meant to be more static than blogs typically allow. Head on over to WordPress.org and you’ll find a community of users looking to improve the open source softerware that powers WordPress blogs. 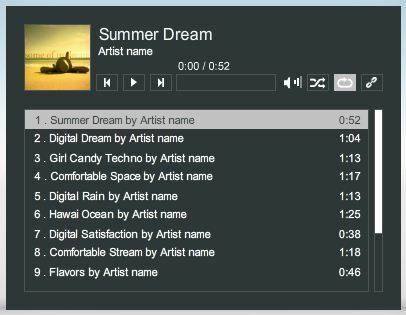 Download the software and host your own site, customizing it as you see fit. eMINTS is currently undergoing a makeover where we will be using this software for site design and management. In fact, the blog you are reading right now is created using this software. If you’re not sure about joining the WordPress community or hosting your own site, there is an option specifically made for educators. 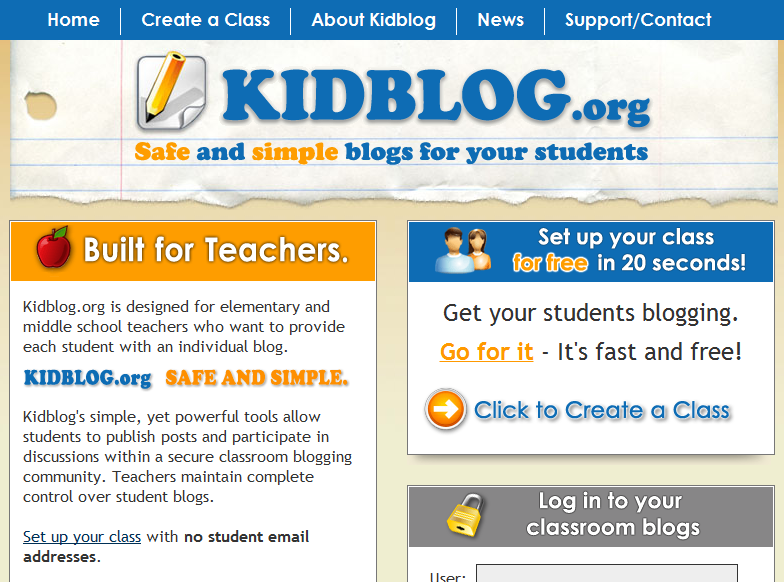 Edublogs is a community similar to WordPress.com, but it exclusively features educator and classroom blogs. There are options to run a blog for free, pay for premium services, and even an option for entire schools, districts, or colleges. It basically gives you the option of using a great tool like WordPress without the worry of an unfiltered audience. 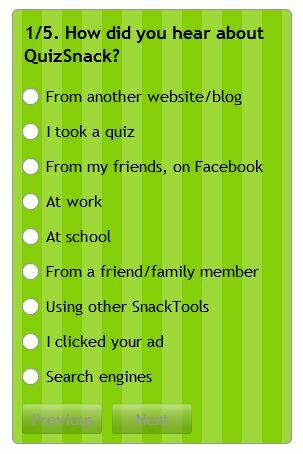 Any of these WordPress options provide a significant amount of choice for teachers. One can add several contributors or authors, limit who can see the blog, and moderate comments in a fashion that works for anyone. There are many themes out there form which to choose that are all largely customizable. The possibilities are endless with a WordPress blog. So, what are you waiting for? It’s time to start blogging on WordPress! I have heard a lot of teachers ask “Why should I blog?” and “Why should my kids blog?” In response I often say “So you want to know why you should write?” …..that is really what blogging is all about. 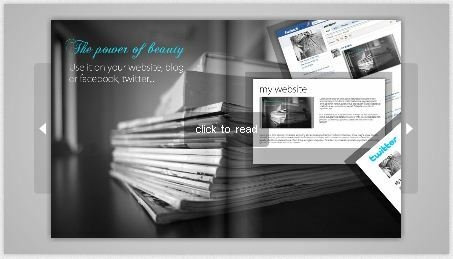 A blog has simply taken the old journal or “Author’s Chair” to a new level….a global level. No longer are students and teachers thoughts and ideas meant for only them to hear, think about, and learn from. Now the world can read them and respond to them and everyone can learn. 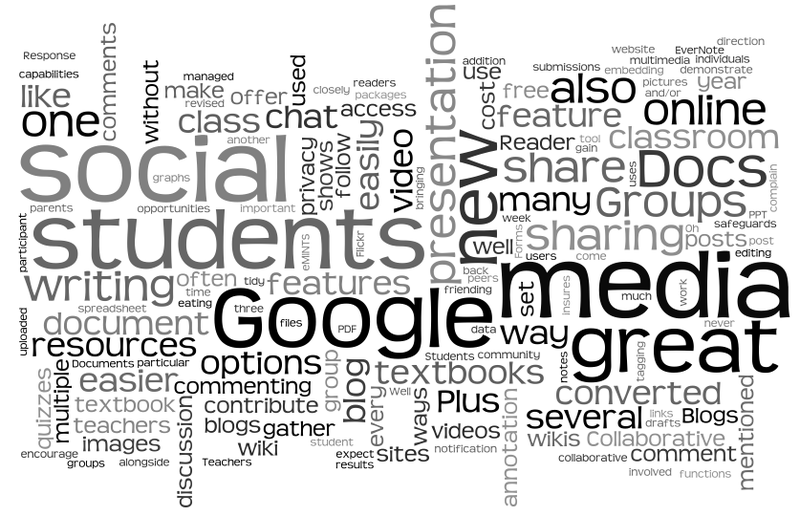 So when it’s time for writing in your classroom, don’t say….”let’s blog” say “let’s write”! Edublogs has put together a Teacher Challenge for blogging, a 30 day free professional development challenge to help teachers increase their blogging skills while collaborating with a global teacher community. For more information check out the Teacher Blogging Challenge. Do you have a class or school blog? So good luck and start writing!